The Dinner Devils visited Sushi Maro in April 2018 and will be back in 2019. Sushi Maro offers elegantly handcrafted and upscale sushi from an extensive list of menu items including inspired Japanese fare featuring contemporary flavors. 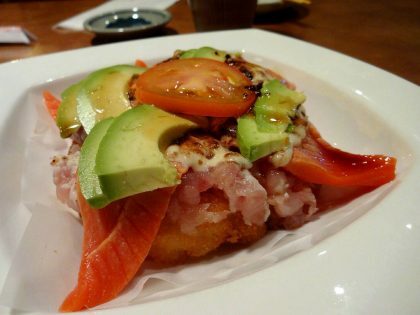 Some of their more interesting menu items include sushi pizza, ahi poke, crispy salmon and sesame tuna cakes. Using local and seasonal ingredients is the most important element in Japanese cuisine. It also has become the primary principle for the international culinary community. 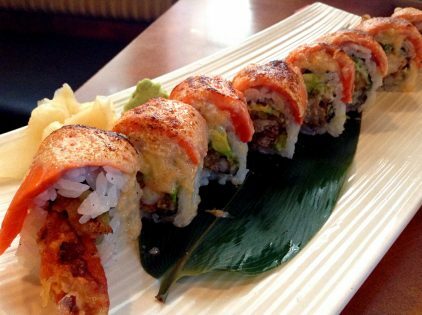 With a commitment to that philosophy, Sushi Maro features seasonal ingredients of the Pacific Northwest in authentic Japanese preparation.